Harry Potter fans coming to London should know that there is plenty more to see and experience just outside of the city, be that a quick trip to Warner Bros Studios “The Making of Harry Potter” tour, or a short train or bus ride to Oxford to see more filming locations and where the producers sources much inspiration for the films. 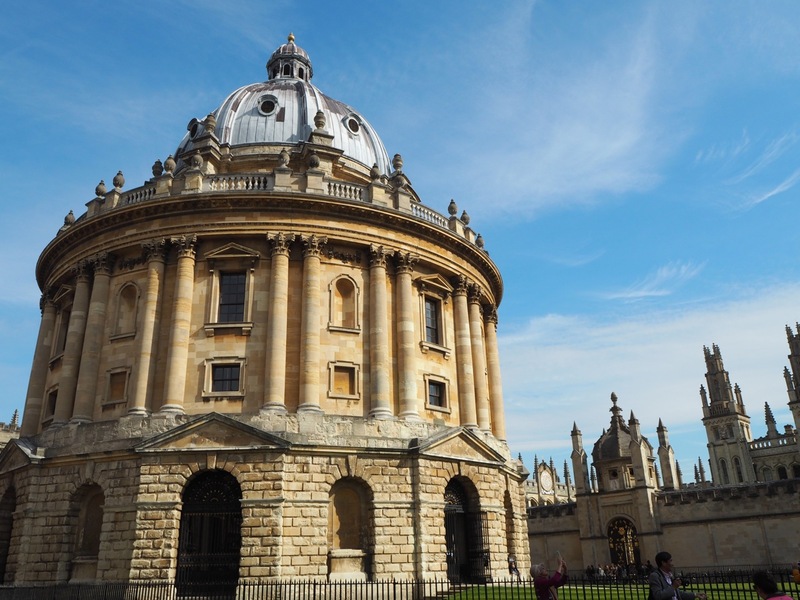 Here’s a guide to the Harry Potter Locations to visit in Oxford to ensure you don’t miss any! 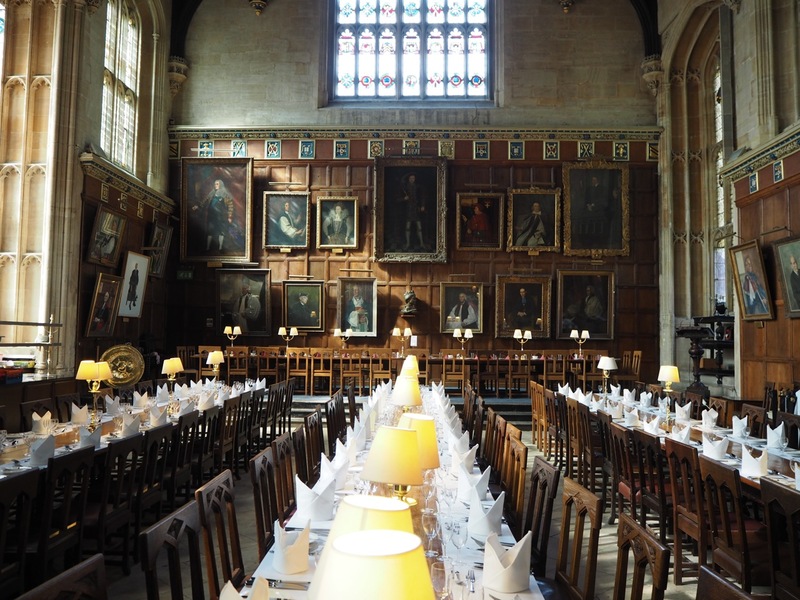 Your first stop will undoubtedly be the ‘real’ Great Hall, or where the film producers got their inspiration for recreating the Great Hall in their studio, which is located inside Christ Church College. Whilst inside the college, it is good to know that the stairway you walk up to get to the Great Hall is also used to film some scenes, as well as a small archway where Harry first arrives at Hogwarts (you’ll find that immediately to the left as you walk in the entrance). Remember the scene where Draco Maufoy says to Harry “you won’t last 10 seconds” under a tree? 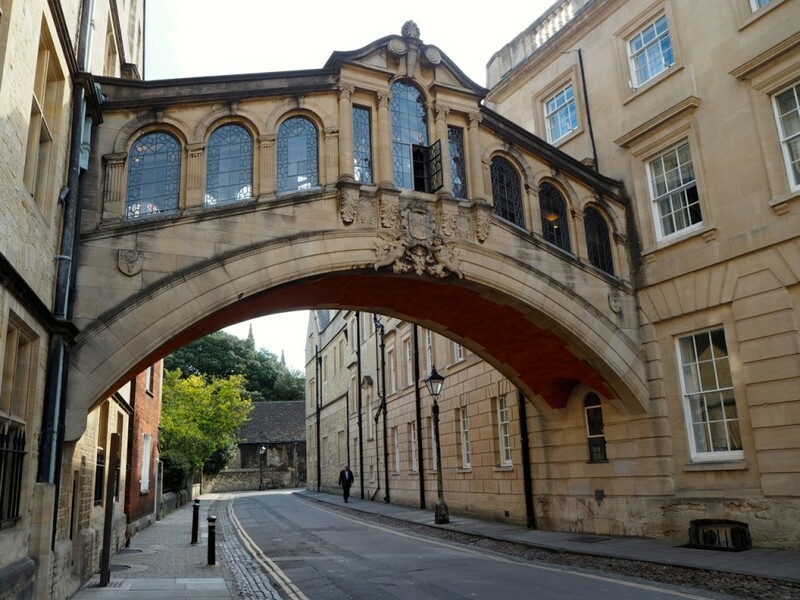 That tree is in fact inside the grounds of New College, and you can see it far in the distance of the above photograph when standing on this side of the Bridge of Sighs. New College is an incredible 13th Century building to see and open to the public should you wish to see it up close. 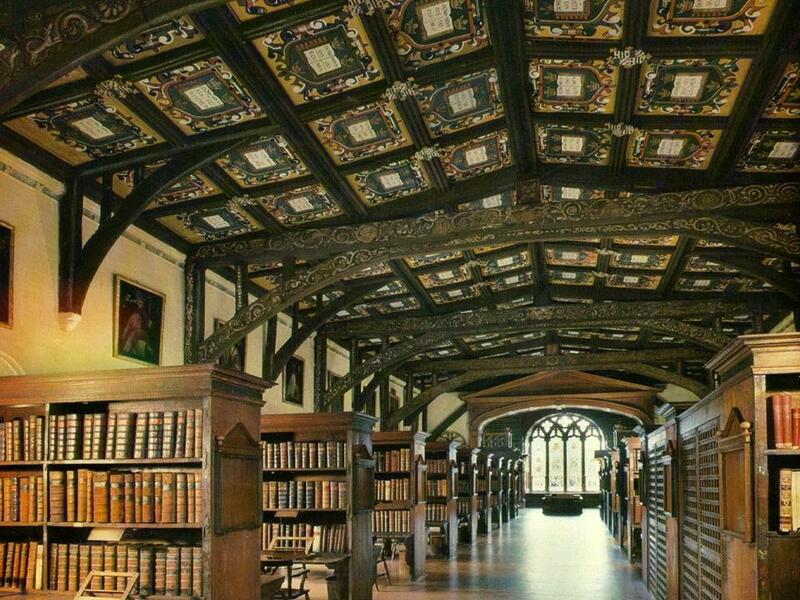 The Bodleian Library is another favourite location for fans to visit, as it was used throughout four of the films as Hogwarts infirmary and also where Professor McGonnagal teaches the students to dance. This library was used for the scene where Harry enters the library under the invisibility cloak with a lamp to steal a book, subsequently breaking all library rules! You can visit the library only on a guided tour that lasts for 30 minutes. 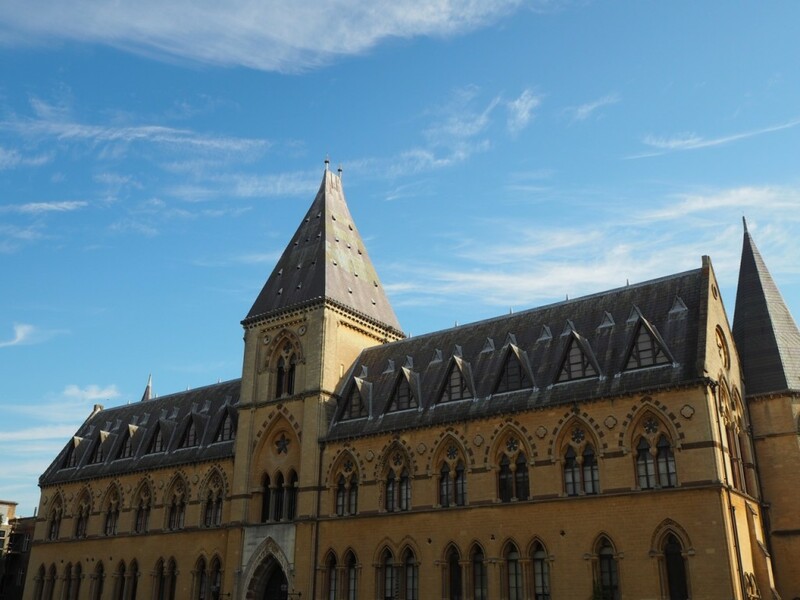 The Oxford University Museum of Natural History was not used for film scenes, but it is where the producers sourced a lot of their ideas for ancient artefacts when recreating these with the costumes department. In particular you can see the artefacts reproduced for “The Knight Bus” inside here – the similarities are uncanny! How many Harry Potter locations have you visited around the world!? Share in the comments below Potter fans! You can also visit Surbiton railway station, a scene was filmed there from Harry potter and the half-blood prince. Wow ! wonderful blog post about harry potter location and looking so nice and very stunning it’s also helpful information all of us so thanks a lot for sharing this. Thank you, definitely have to add them to my evergrowing list of ‘if i ever get the chance to visit that city…’ list 😀 amazing places! great post ! I am a huge harry Potter fan so this post was totally up my street. The Bus is called “Knight Bus” not “Night Bus”. And the picture of the Bodleian Library is actually a picture of the Trinity College Library in Dublin!! This post is everything! Love love love it!! Thank you for sharing! I love this post!! I’m traveling to England next year so I’ll have to check out some of these spots! Oh I’m loving all of the Harry Potter posts! Can’t wait to do this in December.